BEAM Construction Associates, Inc., is a design/build company that offers comprehensive design and construction services. These include site selection and design development, architectural drafting, project management, and finished construction. We are a small, local corporation based in North Sandwich, New Hampshire, currently with four owners/associates. In building and design, our first priority is to conserve—whether it be resources, land or energy; our next is to produce/build structures that are resource efficient, on conserved land, utilizing energy efficient systems. BEAM also specializes in deep energy retrofits on existing buildings, successfully converting older housing stock into viable homes for the energy realities of the 21st century. Distinctive Building. 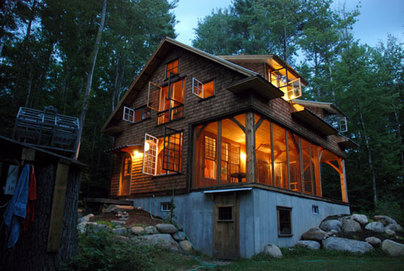 Full service construction & design company, specializing in timber frame, historic restoration, reproduction. Fine craftsmanship for over 30 years. Call Ben Bullard @ 284-7192 or email him at hbbiv@cyberpine.net. R. A. Dunlap & Son, Inc.
_This family-owned and operated excavation business since 1974 provides complete site work for preparation of new home construction or modular homes as well as demolition of existing structures. R. A. Dunlap and Son also provides general contracting services to assure your project proceeds smoothly. With many years of experience come references of contractors who have provided us with quality product and service from tree clearing, electrical, plumbing, paving, to pouring your foundation. 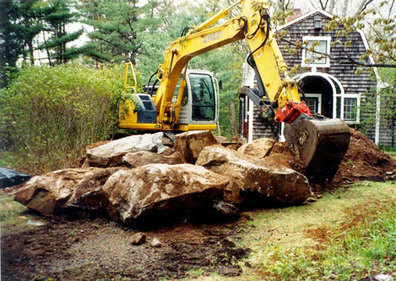 Should drilling, blasting or removal of large rock or ledge be necessary, we can provide that service as well. We will work with the contractors for you, saving you time, and assuring they work with us to get your job done. 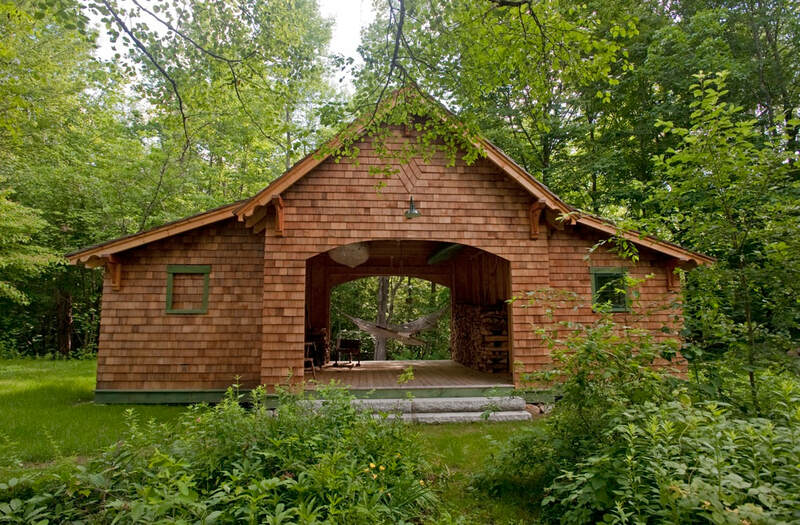 Located in the White Mountains of New Hampshire, Greenside TFC Company, Inc is a fully insured construction company specializing in energy-conscious timber frame homes, barns, and structures, using custom joinery and emphasizing the use of local, sustainable materials. 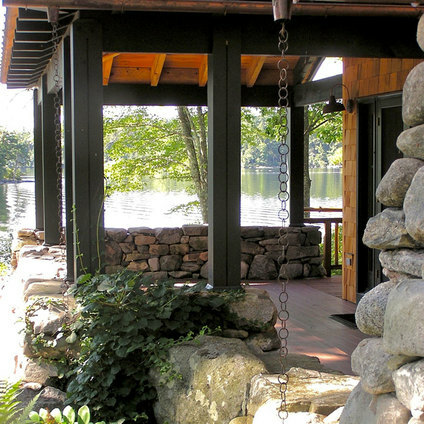 Greenside Company has been building responsibly for over 15 years in New Hampshire. With an honest design philosophy, builder and owner Phil Strother has developed a portfolio of consciously small, beautifully constructed homes, barns and functional structures. Phil works closely with his clients to reach the ultimate goal: a sincere and lasting legacy of comfort and function for each individual project. Olafsen Building and Remodeling, Inc. is a full-service remodeling and residential construction company offering a veteran crew, new homes, renovations, historic restoration with energy efficiency within the historic shell and an enjoyable construction process to customers in central New Hampshire. Thoughtful design, attention to detail, energy efficiency, and personal experience are all trademarks of OBRinc. R.N. Peaslee & Sons, Inc. general contractors is a family-owned business first established in 1947. Specializing in custom homes, R.N. Peaslee & Sons, Inc. has developed a reputation for quality work and friendly personalities. R. N. Peaslee & Sons, Inc. is prepared to handle your project from start to finish. Our company employs several carpenters in the field who specialize in framing and finish work. We have many loyal sub-contractors ranging from excavators, foundation workers and well drillers to electricians, plumbers, painters and engineers. Whether your next job is big or small, simple or complex, we look forward to meeting you and discussing how we can be a part of creating your dream home. R.N. Peaslee & Sons, Inc.